It’s a make good from a couple updates ago. Yes, just one though, lol. Yeah, I got one too. literally just got one. late april fools? Dam i got a regular llama and it only dropped 1 item. Some back story, when the remaining tickets were converted to event llamas, they gave us the wrong llamas. 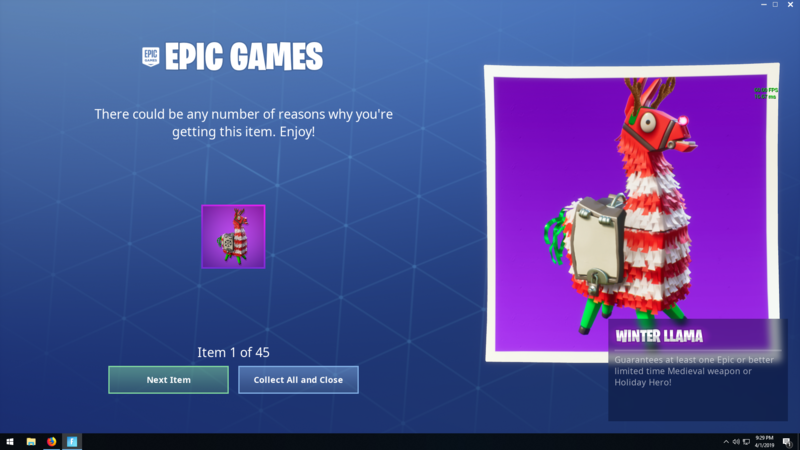 They said they would replace all the ones that were opened incorrectly with winter llamas. I opened about 30 of the wrong llamas, but I didn’t get any back. Edit 2: I got the 42 llamas today!